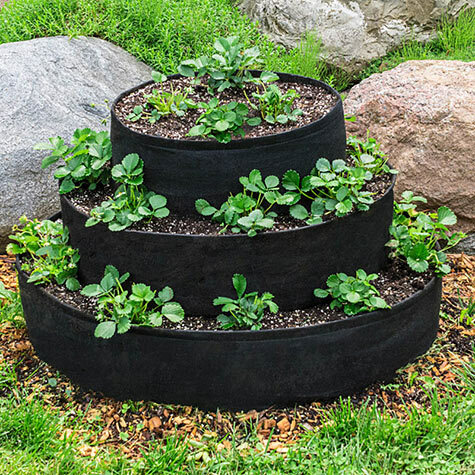 Grow Tub Tiered Strawberry Planter | Gurney's Seed & Nursery Co.
Grow loads of strawberries anywhere with this easy-to-use planter. Made of non-woven geotextiles, it allows plenty of room for plants to grow and spread—and it lasts for years. In our Ohio trials, it overwintered well. 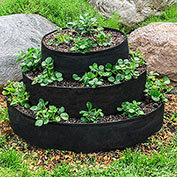 This strawberry planter is versatile too, and works great for herbs, greens and other small plants. Dimensions: Top tier: 20 in. diameter; middle tier: 28 in. diameter; bottom tier: 36 in. diameter. All tiers are 8 in. deep. 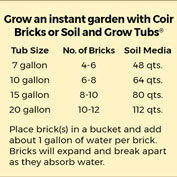 Holds approximately 5 cubic feet of growing media.